The Warwick Executive MBA allows delegates to attend WBS for a week at a time at regular intervals. These intervals allow for the study of a particular subject in depth while combining the flexibility of part-time study, which is perfect for learning in conjunction with full-time careers. It's particularly suitable if your work involves a considerable amount of travelling, you are based overseas, or you are just really busy and need to schedule well in advance. It minimises disruption to both professional and personal commitments by getting all the teaching done in discrete residential blocks. Face-to-face discussions are supplemented by extensive pre-reading, and post-module assignments. Most participants complete their studies in three years. However, it is possible to complete it in just over two if you are able to devote more time to study. 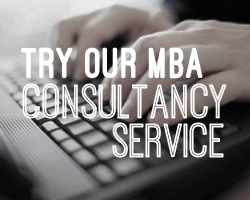 The Warwick Executive MBA is a qualification with many uses. Perhaps you're looking for a career boost or to change direction or maybe you just want to step out of your specialism and into general management. Joining WBS allows participants the ability to connect with a network of highly experienced professionals each on an intense journey towards their own dream. Our committed and internationally recognised experts can help you reach your destination, wherever that might be. You determine where you want the Warwick Executive MBA to take you and Warwick will support you all the way. There are only a very few business schools in the world with accreditation from all three major international management education bodies, and Warwick was the first in the UK. A qualification from WBS really means something, to you and potential employers. To gain a place with us, you must be intellectually outstanding and displaying strong interpersonal and communication skills, motivation, creativity, maturity, drive, and leadership. You must also have proven academic ability, evidence of fresh thinking, the ability to work effectively in a team, the desire to learn, and the potential to succeed. Your application to us will be handled by our Graduate Marketing & Recruitment team. They will help you with any queries you may have about eligibility, fees and funding, and keep you informed of your application's progress. 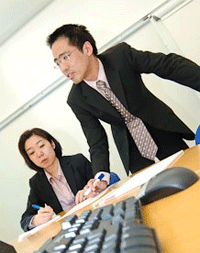 The Warwick Executive MBA is an immersive method of study using practice-oriented assessment. You'll not only use case studies, but also reflect on your own organisation and those of the other participants. Plus, you take your learning back into the workplace - immediately and practically. Many participants on the Executive MBA are sponsored by their organisation. Both parties benefit from you having direct access to a business environment in which you can test and apply your new thinking and knowledge. David Remba explains how Warwick's reputation, and executive MBA structure and content have given him tools to develop his career. I've lived in three different countries whilst studying for the Warwick MBA, something that the flexibility of the programme allowed. This would never have been possible with so many other institutions and methods of study.